PitBull is my very own unit frames implementation. What sets it apart from other unit frames, such as agUF, is that almost everything is run in a modular fashion. I have also paid extremely close attention to performance, especially with regards to frame recycling. For example, if you hide one frame, all its child frames go into a big recycle bin. If you show another frame after that point, instead of making its own new children frames, it will reach into the recycle bin and reuse them. This cuts down on the number of unused frames immensely. It is also immensely customizable. Many have said that it's the new DUF. Tag v3.2.16 for 3.3.3 compatability. important of bug fixes. You should move to PitBull4. Update Aura Filters from PitBull4 again, including fixes for 3.3.3. Fix the SetTexCoordModifiesRect problem. Copy and paste job from PitBull4. Update the Aura filters, copy and paste job from PitBull4. Get rid of the error throwing when a spell id is wrong. Workaround the LoadAddon nonsense by OptionalDeps everything. Hopefully we can revert this in the future. Use geterrorhandler() instead of error() for aura spell id issues so it doesn't entirely break aura module when spell ids disappear. Tag v3.2.13 forgot to deal with LibDogTag first. Oops. unable to click load out of date addons can stop complaining. Update TOC for PitBull3 for 3.1.0. Somehow I missed Improved Wing Clip in the 3.1.0 PTR fixes. 3.1.0 PTR compatability. This stops Aura module errors on the PTR. Oops more 2.x compatability code in the Aura module I meant to remove. Fix the remove of the move line for DruidManaBar from r1869. Oops. DeathKnight aura filter from Niightblade. Add Dalaran Brilliance and Dalaran Intellect to the mage filters. Add Living Bomb to the Mage debuff filter. Fix for SetUnit error that occurs when the Display Aggro Warning is active in tthe Blizzard UI config. LibDruidMana is obsolete no longer include it. Add some spells for Paladins and Shaman to the buff filter. Fix typo causing errors related to DeathKnights. Remove debug code that got left in somehow. configure as shown. We can adjust this up if need be later. No longer hard code debuff limit at 40.
seem more uniform and less clunky. Applied Grum's patch to ComboPoints. Updated Threat text templates to use latest DogTag-Unit tags. Updated PitBull_ThreatBar to use the 3.0 API. dump error logs on me I can see what version they're using. - Fix right click menu on raid frames. - More priest aura filter fixes. for Priests, Druids, Hunters and Palladins. 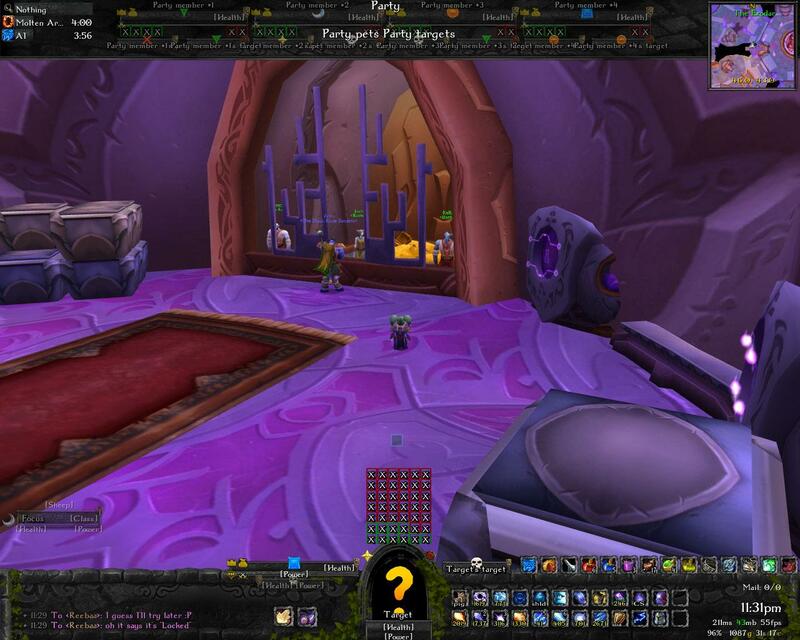 - Fix issue with priest racials in the filter. - Update the healthbar on a more regular basis to match DogTag's timing. - No longer Spark for energy ticks 3.x clients since it ticks constantly. matching the default UI's behavior. ask for mana even when we have a rage or energy bar. 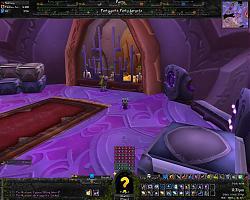 - Remove pre-WoW 2.4 compat code. PitBull_Aura: Fix to allow canceling of auras in WoTLK again. PitBull_Aura: Palladin Auras for WoTLK updated. PitBull_Aura: Priest Racials in WoTLK have changed. PitBull_Aura: WoTLK changes for Rogues, Find Weakness and Poisons. 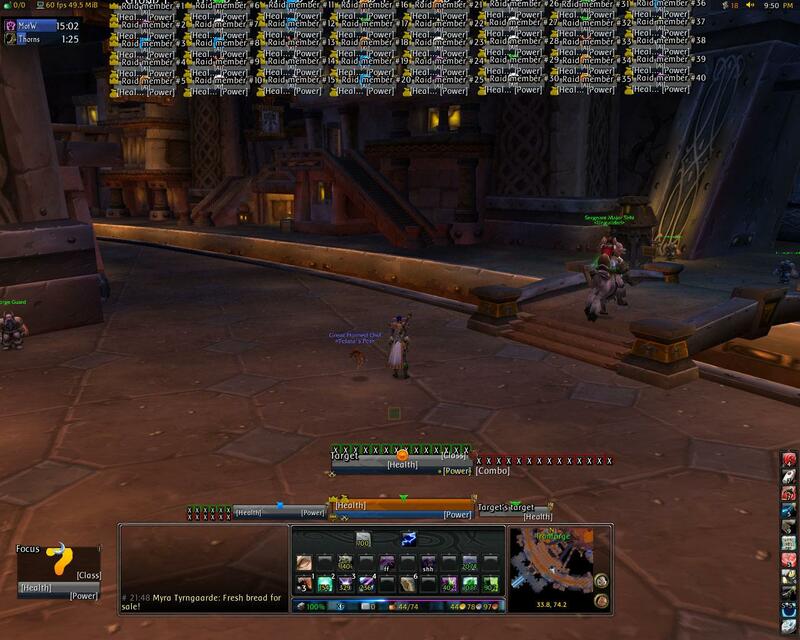 PitBull_Aura: Shadowmeld has a new spellid in WoTLK. PitBull: Portrait- Added coordinates for DEATHKNIGHT class icon. PitBull_HideBlizzard: Add support for hiding the new built in focus frame in WoTLK. PitBull_ComboPoints: Forward compatability for WoTLK API changes. PitBull - Add a temporary hack that puts Blizzard's RuneFrame on top of the player frame. This is only until a proper rune display plugin can be made. PitBull - Remove some copypasta. Make it so you can set DK color and global runic power color. PitBull_Aura: Fix a typo in the WoTLK beta fix. Oops. PitBull - through massive, horrible hacks, make profile changes just destroy everything and recreate, fixing a lot of issues. PitBull_TotemTimers: bugfix texture creation issues (hopefully). PitBull_TotemTimers: that nil doesn't belong there. PitBull_Banzai: Don't show aggro coloring on enemy units that are targeted by friendly units (e.g. mobs being targeted by the raid). PitBull_VoiceIcon: Replace UIFrameFlash with a custom flash implementation to avoid taint. PitBull_TotemTimers: Fix config error with disabling the Hide Inactive option (apologies to Vangual for the ninja-fix). - Use GetUnit() to find out the unit rather than storing it in the AuraFrame. Fixes wrong tooltips on raid/party frames after party member changes. - Fix raid targets being wrong when the raid/party members changed. all/cureable/cureable by me/none currently allowed. - Fix logic bug that caused ready check icons to show on frames regardless of config. PitBull_Aura: Fix a bug that caused the wrong tooltips to appear for auras. - Allow other mods to prevent auras from being highlighted via a hook. Needed for the PitBull_Kalecgos mod. Approved by ckknight. PitBull_PowerBar: added a debug message to track down a class coloring issue. - Removed BabbleSpell from RangeCheck OINK OINK!!!!! PitBull_Banzai: fix bug with units appearing to lose aggro when they didn't. 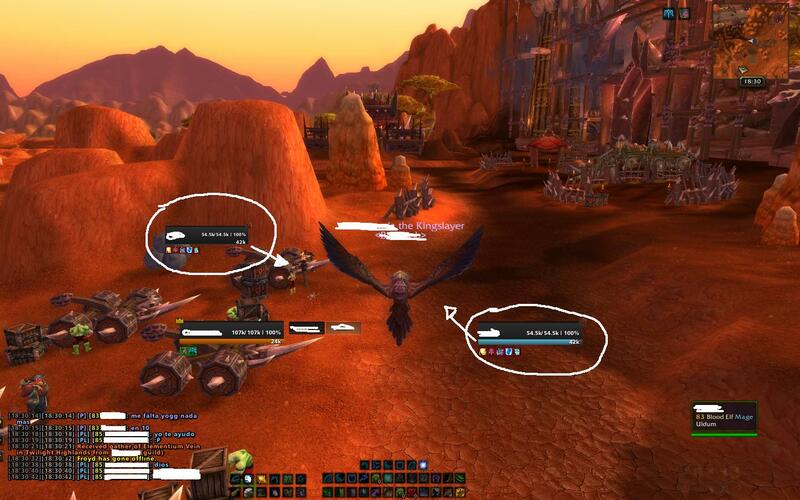 PitBull: VisualHeal & RangeCheck now remove their options from Global Settings when disabled. PitBull_Highlight: fixed options table so it doesn't error in the All Units config. PitBull: PLAYER_PET_CHANGED -> UNIT_PET. The old event doesn't get fired anymore, causing the pet frame to be glitchy and unresponsive. It should behave much better now. - A totally revamp for zhCN translations, finally we've got rid of the holy nonsenses from the Mars. PitBull: Bad translator, no cookie. PitBull: Update classification borders on unit classification change (fixes PB-350). PitBull: validate names of new texts on creation. - pbtt: fixed many different errors when playerframe got (temp) hidden. PitBull - remove WoW24 checks, assume WoW24. - make DogTag edit boxes multiline and syntax highlighted. PitBull: Updated some default texts to DogTag-3.0 syntax. PitBull: Embed LibTalentQuery-1.0 for DogTag. PitBull_Aura: change default alpha of cooldown text to 1, so people will stop complaining about dim grey timers. PitBull: updated embeds and optdeps for 2.4. Removed broken InteractLines module. PitBull: clobber Threat-1.0 from externals/embeds/deps, as it was removed from /trunk. ThreatBar is broken for the time being, but you get to keep the pieces. PitBull: Add LDT-3 and LDT-Unit-3 to toc/embeds/externals for 2.4 goodness. ain't there coming a version for 4.1 ? the mp bar its "empty" and in target its with color, happens me everytime i switch targets, sometimes MY bars go black, sometimes target, sometimes ToT, focus, etc, any idea why this happens? Will not be updated for WoW 4.0.x, update for PitBull4. Yes you'll have to reconfigure. i found where i can set the values in my health bar from percental to percental and absolute. But this setting only affects my health, not from my target (still percental). Where or how can i change this? I want the absolute and percentel values of my target. I am using the OrkoUI if this matters. How do I get the level to display on targets, myself and such? If you see here on my target fra the debuffs are 6 on a row, and my player frame has 3 and 3 over. But I want 6 on a row on my player frame aswell and I tried pretty much everything but I dont know how to do that. Can you help me with that? If you see at my player frame I have buffs like fel armor, soul link etc. But I just want it to show proccing buffs not buffs lasting "forever" like backlash and trinkte proccs etc, do you know that aswell? This would be highly appreciated, thx. Re: Important announcement about PitBull Unit Frames. Important announcement about PitBull Unit Frames. Effective today development on PitBull4 is ceasing. We will be resuming development of PitBull3. We've heard the call of users who have brought their difficulties in switching to PitBull4. Was an April Fool's Day joke. 1. Is Pitbull 3 or 4 not being updated ? 3 is obsolete, 4 will be updated. The previous post was an April Fool's day joke. Shefki? as in the shefki from Garrosh? Hmm Shefki, not that I am using them myself but my fiance may be, but I noticed some inconsistency over the last two posts of yours. 2. And thus is Pitbull 3 or 4 being continued ? The lack of a way to migrate settings to PitBull4 to PitBull3 has caused users a great deal of frustration in switching. Especially in light of the new configuration style of PitBull4. Layouts while very powerful have proven to be too confusing. Many features that are simply not possible with PitBull3 will be lost in going back. For instance the ability to have as many frames as you wanted for any given unit (which was almost done for singletons and not just groups), advanced aura filtering that you can control, multiple text providers so you can choose not to use LibDogTag, and rune support for Death Knights. Users who have migrated to PitBull4 should immediately begin migrating their configurations back to PitBull3. Last edited by Shefki : 04-02-10 at 01:21 AM. v3.2.16 is available on WoWInterface with a fix. Excellent, thank you. Seems to be working just fine, though like you said, I have no idea what it disables but it hasnt screwed up anything major yet lol. Thanks for the quick fix. Put hours of work into my Pitbull3 UI. I was willing to try to re-create it in Pitbull4, but doing a fresh install of that resulted in a bunch of LUA errors, too. It also wouldn't let me uncheck the "Highlight" option.